The species plants are the ones found in the wild. 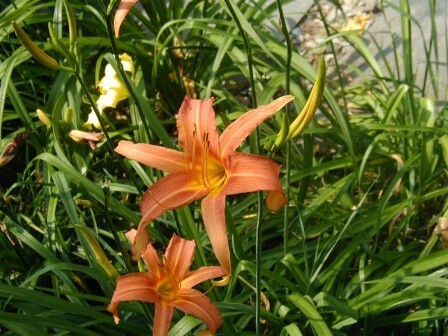 We detail them in the section Daylily Types. 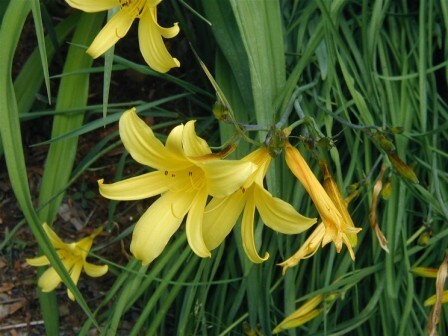 They are very hardy, bloom profusely and can frequently be used as part of an overall display. 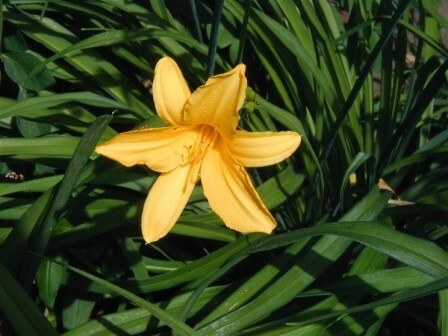 The only one we recommend not ever being used is the H fulva Europa, the common daylily, it is an invasive weed. As such it is fine for filling in barren spots. We used it to fill in hill sides and swamp areas. It takes flooding and drought, it takes foot traffic, and it seems to propagate better than crabgrass. So beware. We have spent many days this summer of 2007 digging out the old Europas from twenty years ago. The Table below is a summary of the species we have been growing. Again beware that there is a great deal of variability within species and sometimes even less across the species. They cross hybridize an one may not have the exact species as in nature. This table has been prepared from what we have in the summer of 2007 and one should consider it a work in progress. Plodek's site has a great deal of detail and he has on that site a paper in seed pod comparison. We have found that the pods vary from location to location and from season to season on the same plant. There are certain "tell-tale" signs but try not to look for distinct differences. which contains many we have. The problem with the species is that there is variability. The question is what is variability and what is a fundamental difference. I spent a few years studying systematics and decades on pattern recognition and frankly I can always be surprised. Plodek has been a standard I have used since he has extensive field experience. For example we see H citrina variability but it is nocturnal and highly fragrant. This list adds coreana to it. H coreana as we have it, from Apps and others, is sessile diurnal and not fragrant. We do not see H aurantiaca, not a fulva, but a separate reddish species whose roots are not as bulb like. H altissima is a tall yellow with some fragrance. The List calls it a H citrina. Now I have these plants side by side and root by root, and unless my pattern recognition systems are amiss they are not the same. This list is supposed to be "the list" but the more I study it and compare it to others the more I am concerned. I have not changed any plant labels. The following are some details. 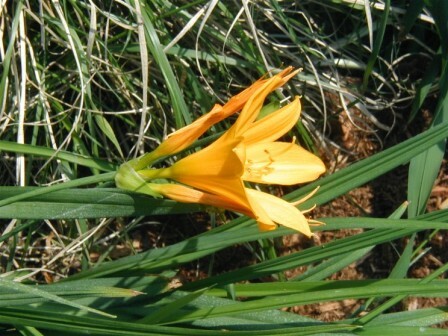 We suggest those interested look at the details in the Book on Hemerocallis. 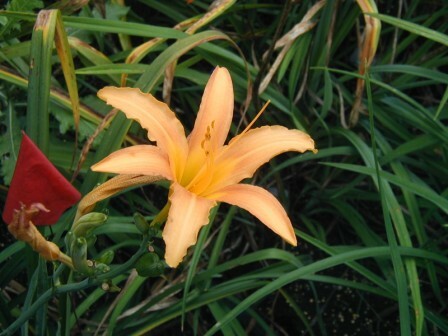 The altissima is a very tall daylily and mine reach well over 5'. The picture to the left depicts the H altissima we have been growing for several years. It is most likely a variant because of the throat coloration. H altissima generally is tall, late blooming, branched, and all light yellow. In a correspondence with Dr. Plodek it seems that this is most likely Autumn Minaret, which is a Stout hybrid of H altissima X H fulva. The other H altissima which I have are pure yellow which seems to be what is agreed to be true altissima. This plant is truly the tallest we have. H. auritaniaca is a very hardy and persistent flowerer. I have been using it to cross with some diploids to try to get the strong flowering characteristic. This is the budding and flowers. The tips of the buds are dark color, almost a dark reddish in coloration. The seed pods also have that color as well. The plant shows good branching.